Happy 2015 from Fosse Gallery on what appears to be a more promising day now the rain and wind has stopped and the sun is out. Life seems to be getting back to normality after a good Christmas break. The 2015 exhibition programme is now available to view on our website with eleven exhibitions ahead of us this year; our biggest to date which is very exciting. Our successful mixed Christmas show has mutated into a Winter exhibition and the gallery is still hung to the rafters with paintings from our gallery artists until the end of the month. 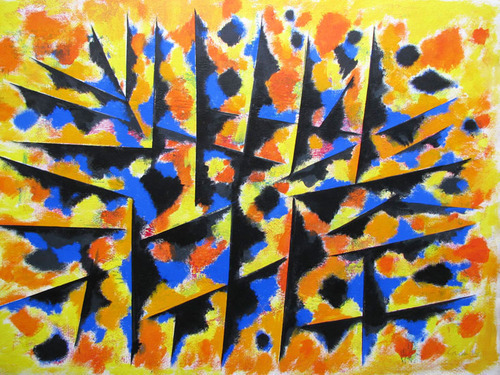 In the next week or so our first invite of the year will drop for celebrated abstractionist William Gear RA 1915 – 1997. Indeed 2015 is his centenary year and it is with huge pride that Fosse Gallery will be staging this landmark exhibition here in the Cotswolds. All 48 works are on paper and this will be the first time they will have been publicly seen, coming directly from the artist’s family. 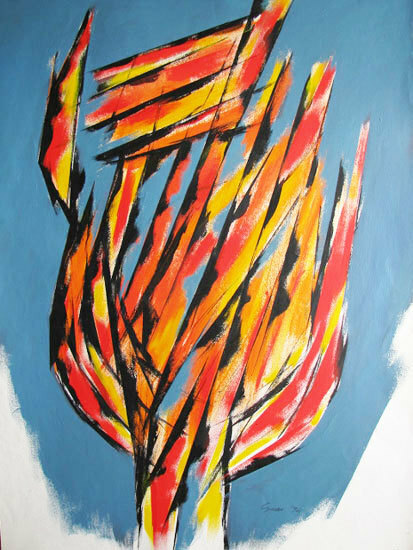 Spanning five decades we have examples ranging from 1947 to 1996, his student days living in Paris under the guidance of Fernand Léger and his contribution to the north European avant-garde CoBrA group (1948-1951) through to his time at Edgbaston, Birmingham. Gear’s work is very sought after and is held in national collections including the Tate Gallery, Victoria & Albert Museum, British Museum, Scottish National Gallery of Modern Art and Birmingham Museum & Art Gallery. All paintings will be for sale and prices range from £500 – £3500. The Fosse will be a place of happening, colour and vibrancy guaranteed through February. In March the gallery will look very different again when Louis Turpin takes centre stage with his first solo exhibition. Possibly the most respected and admired horticultural artist working in the UK today, the show will be entitled ‘Landscape Journeys’. Louis continues to explore his passion for gardens and the wonderful British landscape, especially the countryside around his home town of Rye. 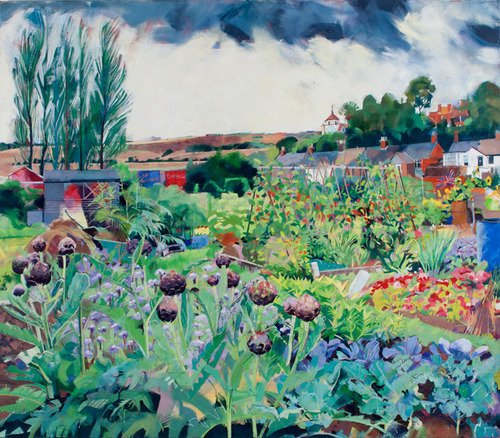 Turpin has visited the magical gardens of Great Dixter, Oxford Physic Garden, Tresco, Wisley and Newby Hall amongst others for this exhibition, as well as celebrating the glory of the allotment with its patchwork of design, colour and human endeavour. There will be a good smattering of handsome sheep too and the show will be made up of oils and his Indian inks. Our Facebook and Twitter campaigns continue to reach those of you who cannot make it to the gallery and we sailed past our 5000 likes. I have so loved seeing the reaction and feedback to images that we put up daily from our current exhibition, plus any news items. Please keep liking and letting us know what you think.